We love this fabulous and affordable French restaurant. For “Sweet Dreams” of New Year’s Eve reveling, check out the historic Grand Central Oyster Bar which will offer its annual dessert menu all day Monday, December 31, to wrap up 2012, before heading to Times Square for the ball to drop or a family visit to the Rockefeller Center Christmas Tree. Executive Chef Sandy Ingber and Pastry Chef Janoz Noka have teamed to put forth their own visions of sugarplums. The Oyster Bar, located on the lower level of Grand Central Terminal, will be open from 11:30 AM for lunch through 10:00 PM for dinner reservations. Call 212-490-6650, or visit http://www.oysterbarny.com. Thymari celebrates Greek Orthodox Easter on Sunday, April 15th with a special Easter menu that features traditional lamb dishes and other Greek Easter delicacies. Thymari will be open from 2pm-11pm, with the Easter menu being available all day. Thymari is located at 32-07 34th Ave. in Astoria, Queens. For reservations please call 718-204-2880. Chef/owner Christos Christou, whose traditional Greek cuisine has received accolades from the likes of The New York Times, will celebrate Greek Orthodox Easter on April 15th by opening the restaurant from 12am-3am exclusively for those who are attending midnight mass. The restaurant will be closed for the rest of the day. For those celebrating Easter on April 8th, the restaurant will be open regular hours, from 5pm to 11pm. Christou will offer a special of braised lamb with roasted lemon potatoes in addition to his standard menu. Yefsi Estiatorio is located at 1481 York Ave. For reservations please call (212) 535-0293, and for more information visit http://www.yefsiestiatorio.com. Tax and Tip In Addition. The restaurant is very upscale, service is excellent and the food ranks with New York’s best Steak restaurants. Where do you go in midtown to be near the square and be nicely removed from the mayhem yet get to enjoy your dinner while feeling all the action near by? Along with an amazing, luscious Italian dinner made from scratch? On New Years Eve? IL Punto Ristorante-507-509 9th Ave ( corner of 38th st and 9th Ave). Serving authentic Italian food with an extensive delicious wine collection, romantic, cozy fun atmosphere and one cultural experience you must experience this New Year’s Eve. Reserve your seat now by calling telephone: 212-244-0088 or email: managers@ilpuntony.com. Ask for George or Ferdinando for all special arrangement or click here for online reservations. Diner Starts at 5pm and goes until 1 am. Drinks all night long. IL Punto Ristorante private party room is also available for holidays events, corporate cocktails parties, office Christmas parties and family holiday celebrations. Don’t hesitate to ask about the multiple option party menus. Special NEW YEAR’S EVE menu is just $55/person. Unbelievable for the quality and ambiance offered. Copyright 2012 By Punchin International. All Rights Reserved. Disclosure. Located a few steps from Times Square and featuring coveted access and a special pass to a designated area to be a part of the world famous ball drop at midnight, Trattoria Dopo Teatro—the classic Italian restaurant—will host a celebration for all seeking the thrill of New Year’s Eve in Times Square along with delectable fare, wine & spirits. 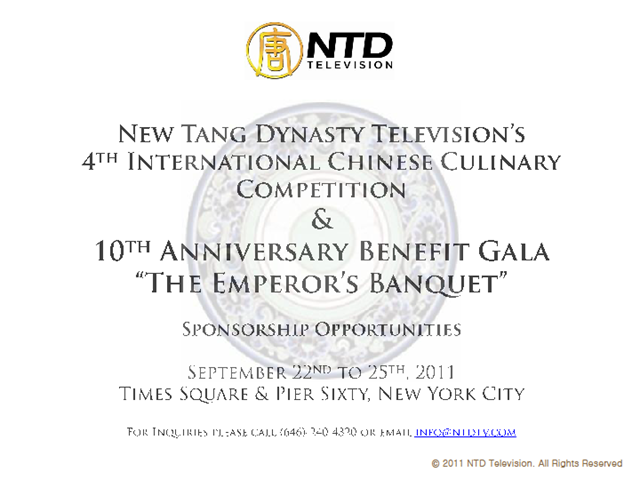 New Tang Dynasty (NTD) Television – a non-profit Chinese and multi-language TV network headquartered in New York City. NTD broadcasts to over 200 million potential viewers via satellite, cable and the Internet. 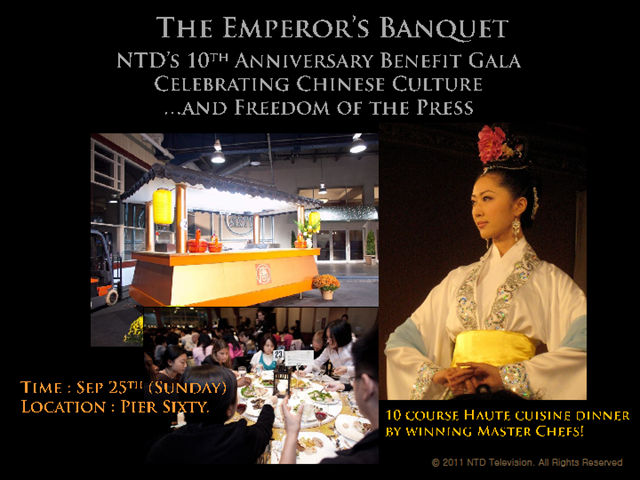 The Emperor’s Banquet Benefit Gala, preceded by a unique two day Chinese Culinary Competition in Times Square presented by New Tang Dynasty Television. This banquet celebrates a decade of championing press freedom and the promotion and sharing of traditional Chinese culture. Transforming Times Square into the kitchen arena of ancient China, the competition is designed to showcase the skills and artistry of over 50 Master Chefs from around the world. 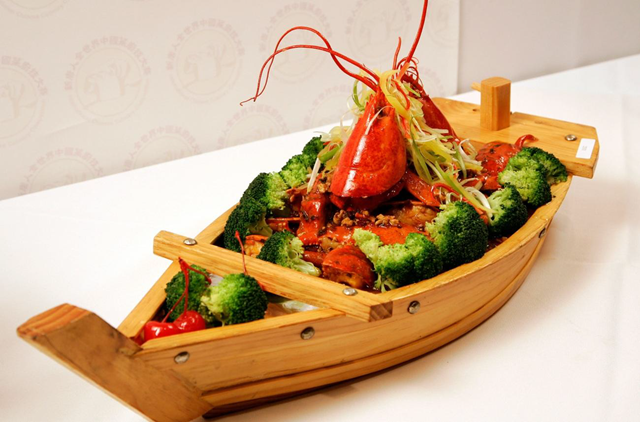 Celebrities and renowned chefs will participate in the closing “Lightning Wok Challenge.” The winners of the International Chinese Culinary Competition will then prepare a sumptuous 10 course feast in celebration of NTD’s tenth anniversary. Russian River Valley wine producer, J Vineyards & Winery, kicks off its 25th Anniversary with a special public celebration and harvest party on Saturday, September 17. The festivities will be held at the winery’s Visitor Center from 11 a.m. to 4 p.m. and will feature products from specialty food producers such as Hog Island Oyster Company, Tsar Nicoulai Caviar, and the Savory Spice Shop in Santa Rosa. There will also be live music, and tastings of past and present J wines. Founder Judy Jordan will be signing bottles, and J’s new Winemaker, Melissa Stackhouse, will be giving fans a sneak peek of the 2010 vintage wines. In 1991, J launched its first wine – a 1987 Vintage Brut – just as the Gulf War in Kuwait began. It was not exactly the perfect time to encourage Americans to celebrate, but every bottle was sold – 4,000 cases in 32 cities within six months. From Day One, J was embraced as the “essence of style,” an all-American alternative to French champagne. J Vintage Brut has been a welcome fixture on high-profile restaurant wine lists and top hotels across the country. Queen Elizabeth sipped J at the White House, Mikhail Gorbachev spoke of world peace with a glass of J in hand, and the distinctive sparkling wines were the official celebratory beverage of the Academy Awards Governors Ball for four consecutive years. Admission is $40 per person for Club J members and $55 for non-members. 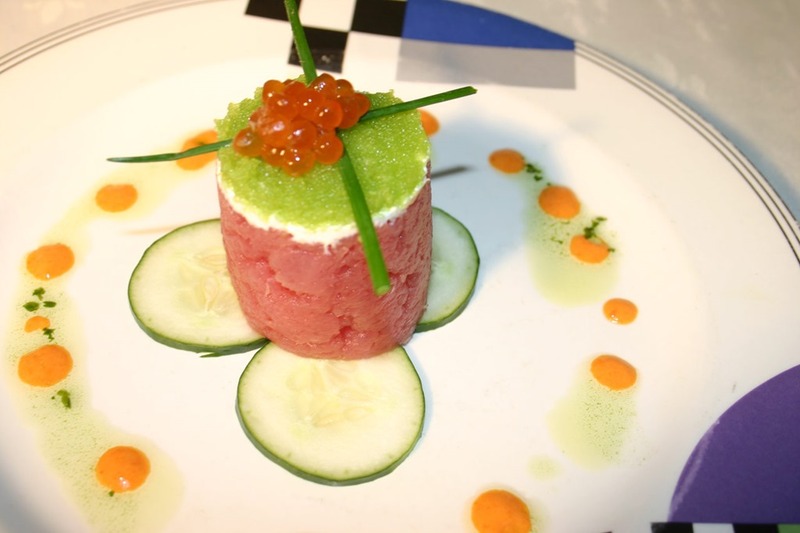 Included is a commemorative glass and inspired culinary creations by J’s Executive Chef Mark E. Caldwell. Tickets are now on sale at the Winery’s Visitor Center. To purchase tickets by phone, please call (707) 431-5430, or go online at http://www.jwine.com. J Vineyards & Winery Visitor Center and Bubble Room is located at 11447 Old Redwood Highway, south of Healdsburg. The winery focuses on Brut and Brut Rosé sparkling wines, as well as Pinot Noir, Chardonnay, and Pinot Gris Estate varietal wines, produced from grapes farmed primarily within Sonoma County’s Russian River Valley appellation. Founded in 1986, J Vineyards & Winery is an independently-owned Sonoma County winery. To learn more, or to join the J Wine Club, go to http://www.jwine.com. Follow us on Facebook by friending J Vineyards & Winery.